Summary: Unlike original paper greeting cards, here introduces a complete novel and advanced kind of animated greeting cards for you. With addible photos, voice, music, text, videos, etc., you can simply create animated greeting cards and share through mobile to anyone you care! 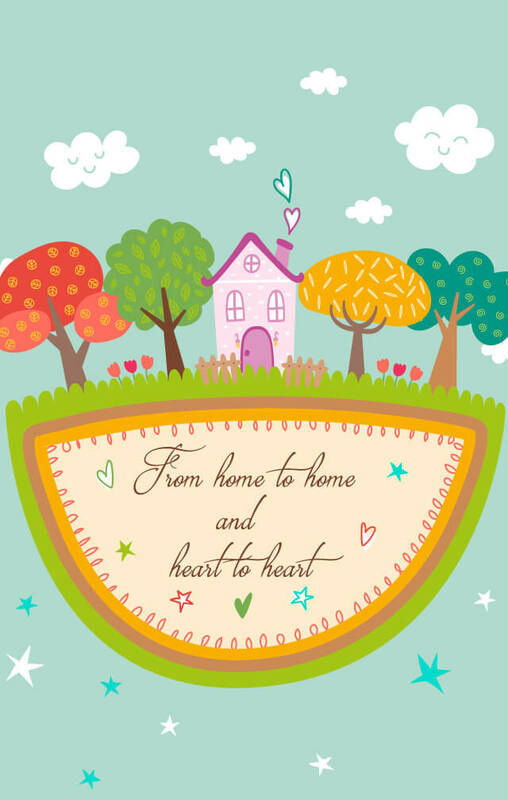 Except for flowers and chocolates, greeting card is a great and popular way to express our endearment to the people we value the most, our better-half, parents, siblings, friends, colleagues, and even instructors in school. In the old days, we often make paper greeting cards by ourselves or buy some greeting cards in stores. Then we will write our sincere wishes in our cards and send them to our loved ones. People who receive our cards will feel happy, which really strengthen the connection and relationship between us. However, with the rapid development of computer technology and Internet, the form of greeting cards has changed, electronic greeting cards emerged. In addition to the rapid expansion of Internet, as well there are 3 important reasons that have great influence on the changed forms of greeting cards. One is to use the way of email to send messages, many people choose to make invitation cards, birthday cards or other free greeting cards with a digital greeting card maker online and then directly email to their recipients. People find little by little that emailing greeting cards is more convenient and effective than sending a paper one. The recipients can simply save their digital greeting cards in their computers or USB for many years without worrying losing somewhere. With email and other ways of sending messages, the demand for traditional greeting cards has been on a long, gradual decline. The second reason is that people’s lifestyle has changed. Along with social progress and development of the times, the lifestyle of people is inclined to be more convenient and efficient than several years before. Editing online, sending through email, which are simple and fast than making one by hand, so digital greeting cards get relatively rapid development in such a modern society. Of course, there still many people like the traditional paper greeting cards, if the paper card has the person's handwriting, it can be kept and you can read them all over and over again. In general, I can say both ways are helpful and useful to people. Yes, both has it's own ways of expressing feelings in our behalf and bringing us closer to the people we care about. The last reason is social media. In this era of network, social media play more and more important part in people’s communication and connection. Facebook, WhatsApp, Instagram, Twitter and etc. All of these social networks have become common ways for people to link each other. Greeting Cards are no exception. If you can't find the time to stuff envelopes, or you just want to go with a techie twist this holiday season, social media can help you spruce up this year's Season's Greetings. 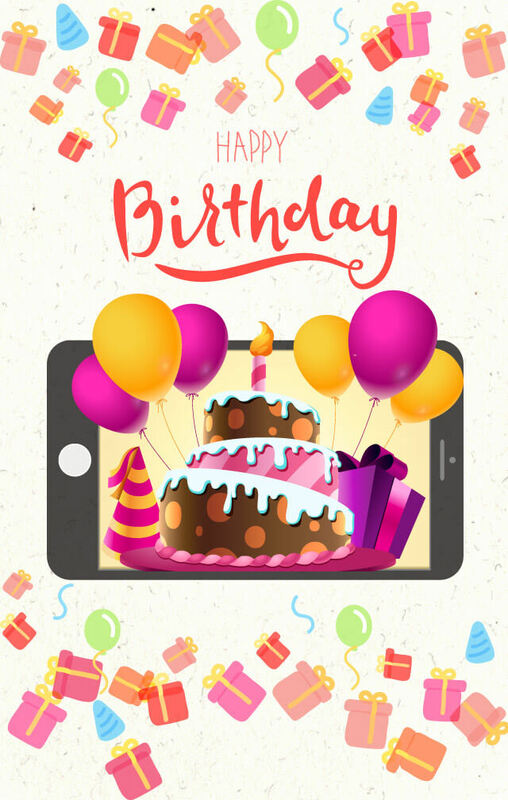 Making digital birthday cards, photo greeting cards, video greeting cards, free online greeting cards with music and sharing them through Facebook or other social networks have get more and more popular among people. All of above three reasons set the stage for the development of electronic greeting cards, furthermore, the requirement of electronic greeting cards greatly promoted the development of digital card maker so that we can find many free online greeting cards maker nowadays. Digital greeting cards have occupied a great part of cards industry, but styles of digital greeting cards have been changing all the time. There are two main aspects of the change. One is the way of making, the other is mode of transmission. A few years ago, electronic greeting cards are simple with photos and texts. However, with the development of editing techniques and increasing requirements of people, greeting cards with music, photo greeting cards, video greeting cards also rise in response to the proper time and conditions. But most of them are short of interesting and interaction. Moreover, in the era of mobile, simply sending email cannot satisfy people’s requirement, what’s more, the efficiency and timeliness of emailing are not enough, people may delay checking their emails several days. 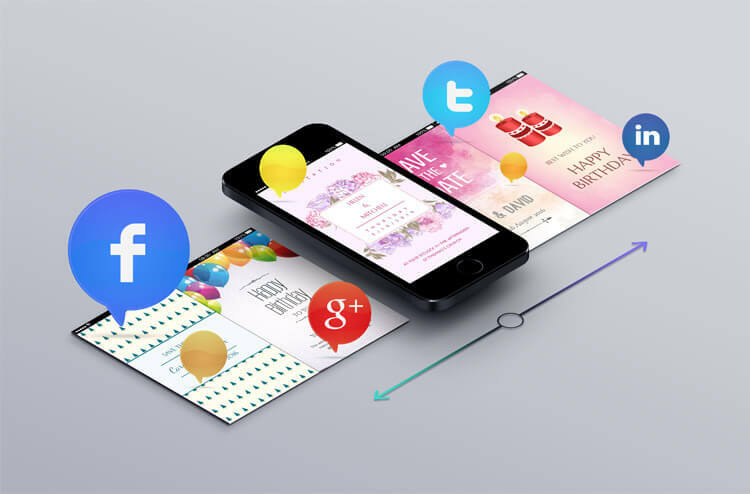 Nowadays, consumers are increasingly using mobile as their preferred method of communication, and the greeting cards industry has evolved to help consumers send personalized messages via multiple mobile channels. From QR codes, applications and mobile Web, the greeting card industry is embracing the mobile channel. Sending free greeting cards to mobile phone is gradually become the main stream. The big greeting cards manufacture-Hallmark has realized this point, it has tapped into mobile with a large emphasis on QR codes and branded apps. Otherwise, American Greetings also make the corresponding changes in this mobile era, it has recently launched an iPad app that lets consumers personalize and send notes. But is that enough? Of course NO, in the process of using digital card maker, people gradually find that QR code and app are not that convenient, many people are not so fond of downloading and installing apps. We all like greeting cards for mobile phones, but we cannot resist asking whether there is a free greeting card maker, more convenient, full of much fun, specifically for mobile transmission. AmoLink greeting card maker, maybe you are not very familiar with it. But it is absolutely suitable for you after you try and learn about it. Taking HTML5 technology to realize web edit and browse your work in all devices, AmoLink greeting card maker is a completely novel digital one. In this era of mobile, AmoLink makes contacts more convenient. No matter contact with your friends or organize activities, both innovation and creation can be found in AmoLink. No need to download and install, just edit online with easy-to-use editing features. Free to create cards online with various animated greeting cards templates, invitation cards with RSVP, announcement, birthday cards, holiday cards, greeting cards with music, photo greeting cards, greeting cards with sound, video greeting cards and etc. AmoLink offers features that allow you to easily design any free greeting cards. Allowing card givers to record and upload personal music, videos and photos. With mobile-first and all social networks supported, you just need to send a link to your friends, whether texting them a message or posting it on social networks, like WhatsApp, Facebook and other popular social webs. As long as people click the link, your work will be easily browsed in a thunder speed. Tracing the integral and latest statistics of your personal animated greeting cards, real-time monitor the number of views, keep people interested and engaged. In AmoLink, what makes the card really special is you, every card is going to be the right card because it’s going to say what you want it to say. Come on, free to create cards online now.